China’s largest city is full of must-see landmarks, and getting to them is made easier on this private tour by Shanghai Metro. Let a personal guide accompany you aboard public transport while you gain a better understanding of local life and culture. 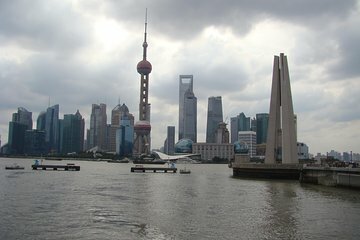 If you just have 2 hours to spend, you’ll visit Old town and the Bund. Or upgrade for a 3-hour, 4-hour, or full-day tour to include more sightseeing. Our tour was good, but we had better tours in different cities within China. Our tour guide, Pan, was very nice. He helped us exchange currency and took us to places we wanted to see. He helped us with translation at lunch. I am reluctant to say the tour was great as his English was good...but not as good as the other guides we had. We still enjoyed the excursion.